The improvements Microsoft has made on features you use every day are what really matter. I just spent more than a week diving deep into Windows 10’s Anniversary Update, which rolls out August 2. As a birthday present of sorts to users who’ve upgraded to Windows 10 in the past year since the OS launched, it’s a pretty nice one. Here's what's in the box: Cortana, which is now accessible from the lock screen, is more ubiquitous than ever. 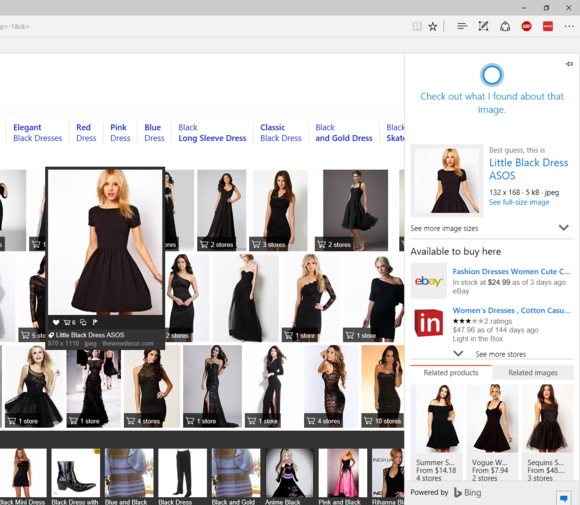 Extensions finally make Microsoft Edge usable. 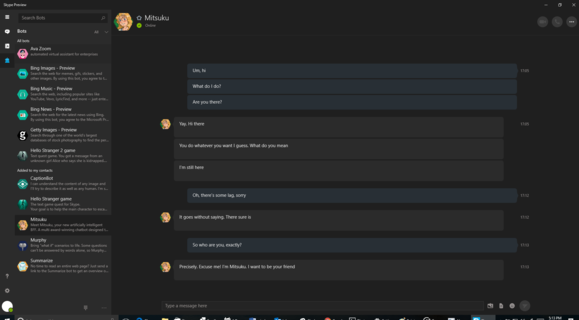 Windows Hello improves, Skype’s reboot seems to be on the right track, and underneath it all are even more thoughtful tweaks that improve Windows 10’s overall experience. The new Windows Ink is intriguing, if only partially baked. One or two features you may have expected aren’t quite ready. 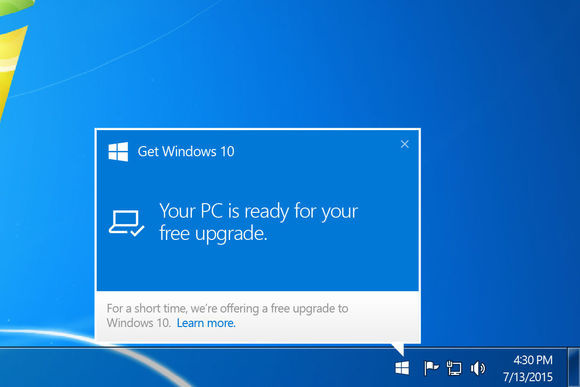 But if you're a Windows user still on the fence (even with the free upgrade deadline just days away! ), the Anniversary Update won't sway you. 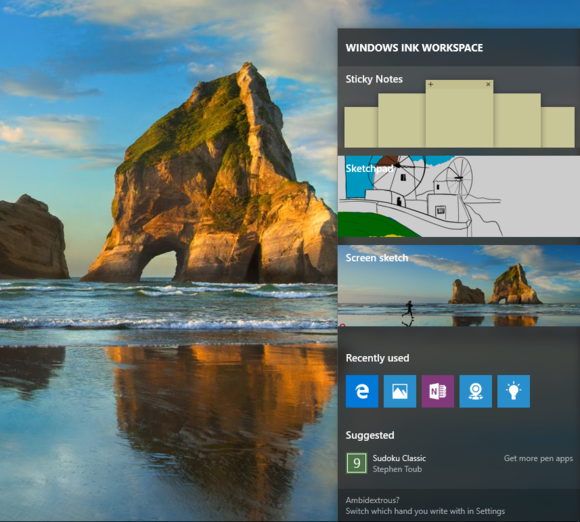 This isn't Windows 8.1, Microsoft's apology for the sins of Windows 8. Some of the skeptics' biggest reservations about Windows 10, such as the demand for a Microsoft account, or the many and varied attempts to keep tabs on your activities, clearly are here to stay. Think of the AU instead as a milestone in Windows 10's journey, a chance to polish some features and bring on a few others. We used all this as a foundation for our review score for the Anniversary Update, which we left unchanged from what we gave the original release. Windows Insiders have the AU already. 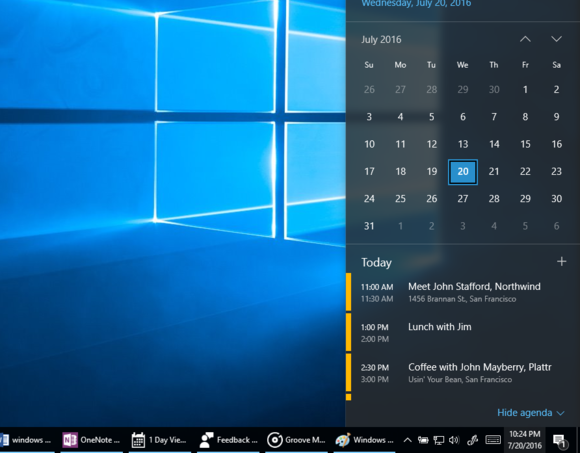 If you’re a Windows 10 owner, you have a week or so before it reaches your machine on Aug. 2. Users of Windows 8.1 and earlier, the ball's in your court. There are as many good reasons to upgrade as there are to stay put, but your chance to get Windows 10 for free is fading fast. Microsoft’s Anniversary Update was supposed to take the Windows Hello biometric authentication system a step further, finally delivering on the "Passport" promise of the original OS: Your face or fingerprint would serve as your password for the web as well as your PC. Microsoft executives tell me Hello will take on this new role once the FIDO 2.0 standard officially rolls out in a few months. For now, Hello is now used to authenticate you at the Windows Store. Microsoft’s original Surface tablets used a depth camera to snap a 3D image of a user’s face, identifying and logging them in. Now, Hello has become even more accessible, as more hardware makers adopt fingerprint readers. Both bits of hardware work exceptionally well—and if they don’t, there’s always a 4-digit PIN or Microsoft password alternatives. Now, Microsoft is pushing Hello beyond your login screen, and the first stop is the Windows Store. The AU code now uses Hello to buy apps, music and more. What’s the difference between tapping a button to approve a stored credit card, versus using your face? Not that much, though the transaction is authenticated via the hardware in your PC, providing an additional assurance that you are you. If you believe that Microsoft is the devil in Redmond, gobbling up your data to pass along to advertisers (or worse), nothing about Cortana’s latest features will change that. (But you’ll be happy to know that the French government agrees with you.) 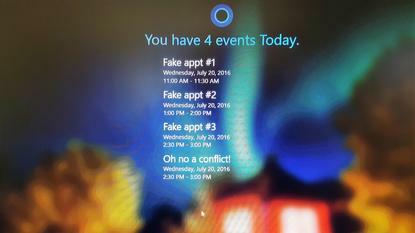 That said, the Cortana digital assistant has steadily improved since the initial release of Windows 10. The Anniversary Update presents a Cortana that’s more aware of you than ever, assuming you allow her access to your life (here’s how to turn her off if you don’t). Edge, Microsoft’s integrated browser, was a glaring flaw in the original Windows 10 release: too spare, too slow. Even now, as Windows 10 boasts a decent 19.1 percent market share, Edge’s share sits at just 5.1 percent. It still deserves mention here, though, because it’s steadily and surprisingly improved over time (although no specific improvements are really recent enough to be part of the Anniversary Update). 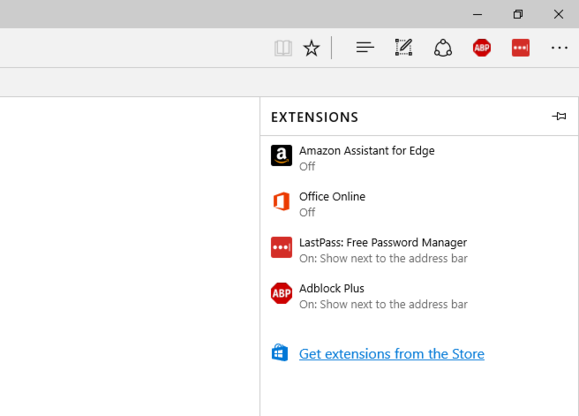 Edge now syncs data with the cloud, adds extensions, and even offers integration with Cortana. The Anniversary Update code now contains support for extensions, a feature the original version of Edge notably lacked. 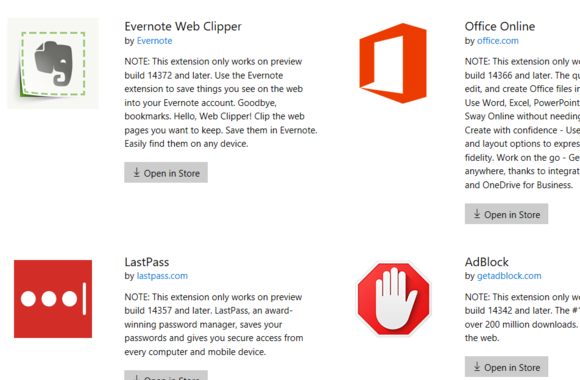 At press time, 13 Edge extensions are available via the Microsoft Store, none of them fluff: AdBlock and AdBlock Plus, the LastPass free password manager, an Evernote Web clipper, and more. They’re easy as pie to install: Simply go to the ellipsis menu at the upper right, scroll down to Extensions, and install them like any other app. Whether or not you like the new Edge depends on whether you have an ad blocker installed. Without it, Web browsing still remains choppy. With it turned on, though, Edge now is in the same league as other browsers, rendering Web pages about a second slower than the competition. I still found Edge somewhat unstable, though, crashing on media-rich pages at such sites as CNN.com and SFGate.com even with ad blocking on. Fortunately, such crashes rebooted the tab, with no apparent ill effects to the other tabs. I just hope that the crashes can be chalked up to a bad ad, rather than an issue with the Edge code. Next: How seriously should we take Windows Ink? 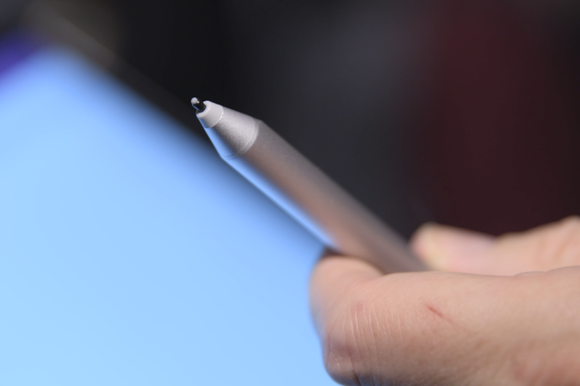 Pen computing has been part of the Apple Newton, the Tablet PC, the Surface Pro 3, and other devices. But the PC world has never really answered the central question concerning the pen: What exactly do you do with it? One of the new ways to interact with your PC is via the pen. Virtually everything about Windows Ink was designed for the Anniversary Update. OneNote used to be Microsoft’s great inking application; now, a collection of native Windows Ink-powered apps (which originated from the massive Surface Hub)—Sticky Notes, Sketchpad, and Screen Sketch—is elbowing into its territory. And if those aren’t good enough, a curated collection of inking apps are now in the Windows Store. Windows Ink begins with this tiny icon on the Windows 10 taskbar. 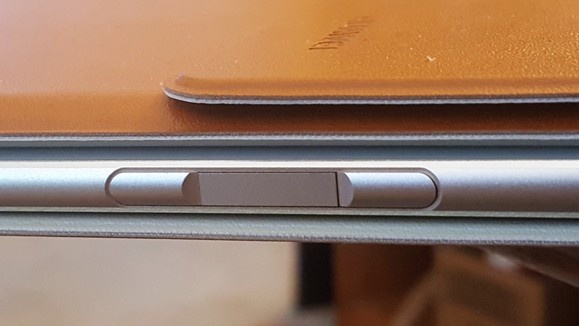 A few years ago, Microsoft executives showed a Surface Pro 3 tablet that could be written upon just by clicking the stylus, even without unlocking the PC. Today, that same feature (which, due to a bug or faulty Surface Pen, I could not get to work) unlocks the Windows Ink Workspace and any of the associated apps. They’re also found behind the new pen icon, in the Windows taskbar. Of the three Workspace apps, neither Sticky Notes nor Sketchpad particularly impress me. Sticky Notes simply plop themselves on your screen—yes, like tiny, physical sticky notes. 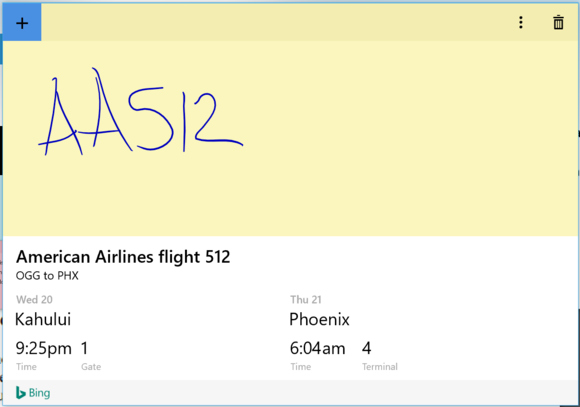 A late-breaking tweak just before the Anniversary Update launched added the Insights feature, which allows Bing to interpret a scrawled flight number, for instance, as actual, actionable data. Click the pen icon, and Windows will launch the Windows Ink Workspace, a collection of ink-specific apps. Sketchpad’s existence, meanwhile, basically tells me that Microsoft felt OneNote, even the simplified Metro version that shipped with the Surface Pro 3, was simply overkill for what users want to do: Scrawl a quick note. Sketchpad, though, doesn’t quite fix things: It feels more like a drawing tool rather than a note-taking app. What I’d like to see would be for Sticky Notes to go away and Insights to migrate to Sketchpad. Ideally, Windows would “read” all of your digital scribbles, anyway—or at least those that you’ve designated. As long as you have Insights turned on as an option, Cortana and Bing can interpret certain notes as items that they can pull up more information on. Screen Sketch, meanwhile, reminds me of how I use a Galaxy Note smartphone: for grabbing webpages or scrawling a note, and posting them online. My beef is how Windows fails to recognize that my primary desktop monitor is not touch-enabled, and dumps both Screen Sketch and Sticky Notes there, rather than on my touchscreen directly next to it. I never thought I’d say this, but there’s a section of the Windows Store worth checking out, and that is the Windows Ink section. There’s at least 40 apps there, all curated for pen use. This is a refreshing change: a smart collection of apps organized with a purpose. One expected feature, digitally inking a route in the Maps app, isn’t ready yet. Microsoft tells me it also plans to take OneNote and expand its smart inking—a freehand circle converts to a machine-generated one—to equations. But this misses the point: Until Microsoft delivers the capability to interpret inked letters as rich, editable text, that can be inserted into Word or Outlook, Windows Ink isn’t fully baked. The Anniversary Update doesn’t change that much about Task View, Microsoft’s virtual desktop utility, but it adds the ability to pin windows from a particular app to multiple desktops—not just one—and to do the same for multiple windows. It also allows you to pin a chat app or music player where it’s always accessible. 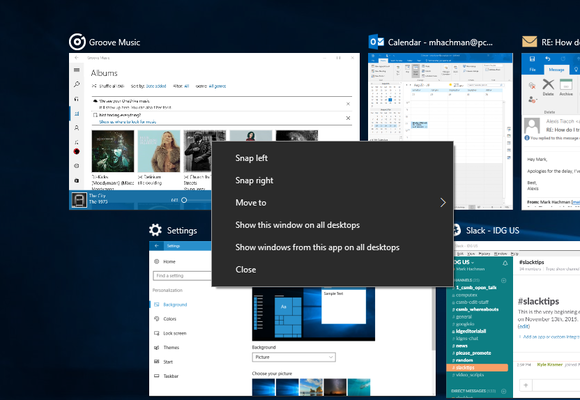 A new Task View option within the Windows 10 Anniversary Update allows you to pin an app to multiple desktops, such as Groove Music or Slack. I suspect that most users buy and prefer to use multiple physical monitors, then forget about Microsoft’s extremely useful Task View feature when they’re confined to a notebook. Snap and Task View go hand in hand: You can snap apps to the four corners of a screen, or one to each side. Task View allows you to swap between these “screens” of apps with just a keystroke combination. I just wish there were a simpler way to slide between desktops. Ctrl + Win + either Right or Left Arrow isn’t all that intuitive, and there’s still that pesky hard stop at the end of the row of virtual desktops. perhaps Microsoft could implement a touchscreen gesture, or the three-finger swipe used to move between apps could be reassigned to desktops. That hasn’t stopped both Snap and Task View from remaining one of the most valuable features of Windows 10. A number of minor features have been added to the Windows 10 code since last year, incremental improvements that sometimes fly under the radar. I highlight a few below that I think make a substantive difference: the addition of numbers to taskbar icons, dark mode, a quick calendar view, improvements to the Action Center, and a tweak to configuring audio sources. Click the time/date box on the taskbar, and a quick look at your day pops up. Also note the superimposed “1” over the Action Center: we’re (almost) all caught up. 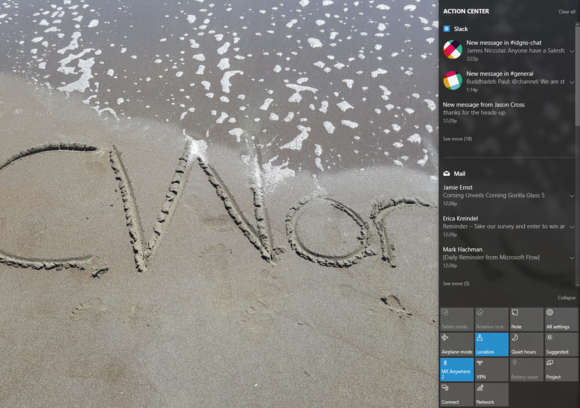 Notifications are now an important component of the modern operating system, and the Action Center has improved in the last few months’s worth of Insider Builds. Previously, the Action Center was dominated by whichever application had the most notifications (email, in my case). Now, it gives equal weight to various apps, tucking older notifications out of sight. Windows will also show the number of total notifications in the Taskbar. Clicking the Taskbar’s time/date will also show a concise view of your calendar for the day. That time and date will also show up on all of your displays—not just the primary one. 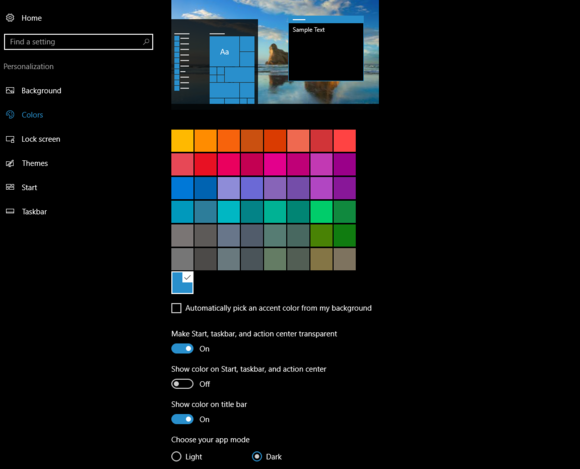 Oh, and there’s a dark mode, too, available in the Settings menu’s Personalization section – but just for some UWP apps, and not Win32 apps or even the whole of the Windows 10 UI. 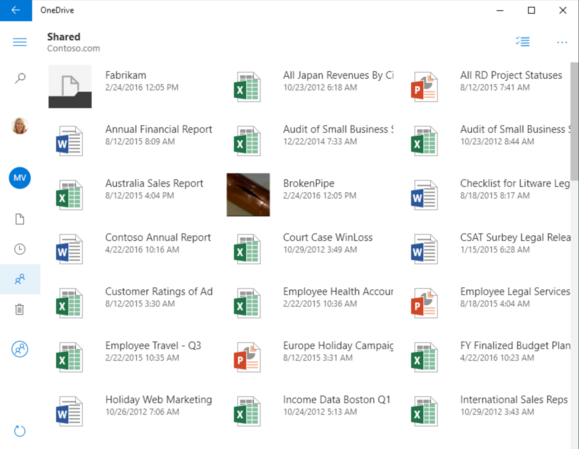 Next: OneDrive loses smart files, then gets them back, sort of. 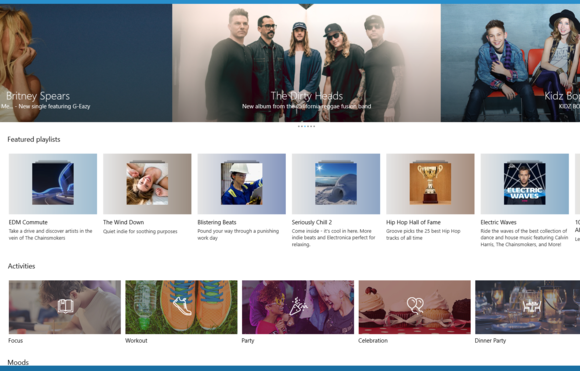 In May, Microsoft launched a UWP OneDrive app, which helped address the loss of “smart” or “placeholder” files in the original release of Windows 10. The OneDrive app is a somewhat acceptable compromise between what Microsoft used to offer, and what it should. No, it’s not. That was simply wrong. OneDrive is a mess, and the placeholder files simply should be there today. Fortunately, OneDrive meets me halfway: It’s an app that functions like the OneDrive Web site, listing the files you’ve stored in the cloud. It’s also slow. But you can drag files into the app and OneDrive will upload them, so it’s almost, but not quite as good, as a dedicated folder. Two things are noteworthy about the Windows Store: the new apps and descriptions that populate it, and the unnecessarily poor redesign that Microsoft forced onto it. The front page of Microsoft’s Windows Store app. Microsoft’s Store app is already hamstrung by two issues: its relatively low app count (669,000 Windows Store apps as of Sept. 2015, versus 2 million or so for Android and iOS) and its need to push those apps at you. 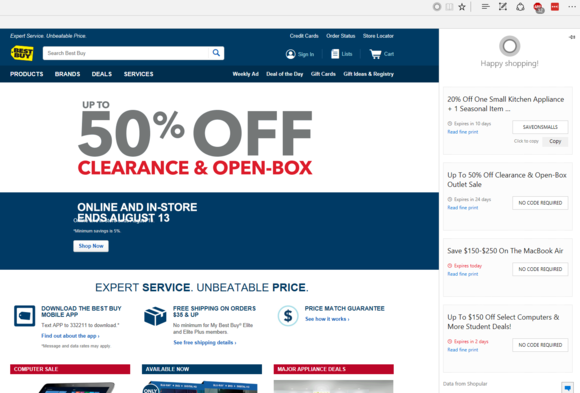 Unfortunately, Microsoft’s Store redesign doesn’t help. 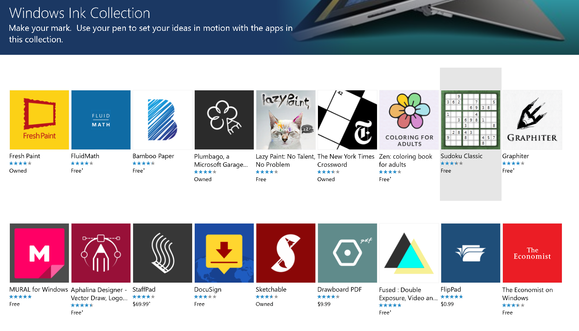 Noting all the platforms a particular app runs on is one sign that Microsoft is unifying the Windows Store. 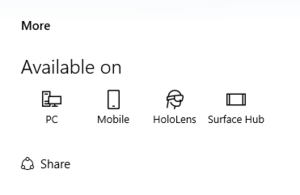 Customers obviously weren’t scrolling down the page to find the “top apps” or “featured apps,” so Microsoft plopped four ugly boxes up top to capture your eyeballs. But what’s the difference between “top apps,” “featured” apps, “collections,” “Best of Windows Store,” as well as “Picks for you?” Take it down a notch, Microsoft. We’ll get there. If you don’t go beyond the first page of the Store, though, you’d never guess that Microsoft suffers from an “app gap” between itself and Android—almost everything on its front page is of high quality. Individual app pages have also been improved, clearly spelling out which platforms they run on, including mobile and PC. App ratings now can be viewed just for the latest version, which is handy. We still need some indication of how many downloads an app has, though, and when the most recent version was published. 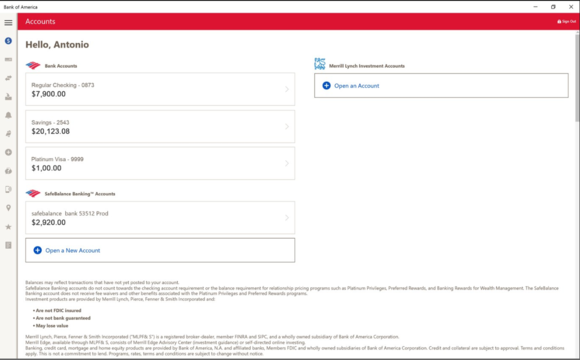 Hgher-profile brands like Bank of America add some much-needed credibility back to Microsoft’s app portfolio. Kudos to Microsoft for at least trying to elevate its Windows 10 reputation with a series of higher-profile game titles, though. 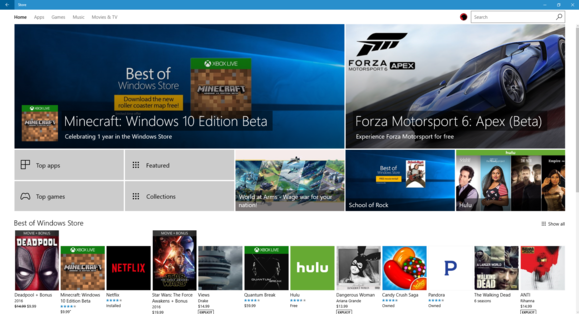 These are the somewhat controversial UWP apps that straddle both Windows 10 and the Xbox One, including games like Quantum Break, Rise of the Tomb Raider, and even a nifty freebie, Forza Motorsport 6: Apex. Microsoft’s purchase of Xamarin has apparently paid off with new, quality apps: Bank of America, Hulu, Fox Sports Go, Plex, and others. Let’s hope it continues. Skype was notoriously left out of the original Windows 10 release, replaced with a “Get Skype” placeholder app. Now, Microsoft’s prepared for the eventual re-release of Skype as a UWP app with Skype Preview, which so far has proven simple and effective. The new Skype Preview supports a number of chatbots, but a bug prevented their responses from being displayed in real time. Ignore all the silly love emoticons and other cruft Microsoft added to Skype earlier this year. Skype Preview does calls and messaging—even some of the new chatbots Microsoft highlighted at its Build conference—and that’s about it. Premium features, such as translation, aren’t quite there yet. Refreshingly, Skype Preview just logged me in using my Windows login credentials. I’m not a huge Skype user, although I tend to have most of my overseas conversations using the service. Skype Preview might not be the final, full-fledged UWP app, but it seems like it does everything I need to at the moment. One of the biggest is actually a new addition: the Bash app, which lets developers to try out a Linux environment within Windows, without the need for a virtual machine. I’ll confess that I know little about Linux, however, and can’t offer any informed commentary on what the shell can or can’t do. Insider builds of the Windows 10 Mobile Photos app now capture video in slow motion, and a similar capability may be coming to the desktop Photos app as well. Unfortunately, Microsoft pulled it before the AU code shipped. 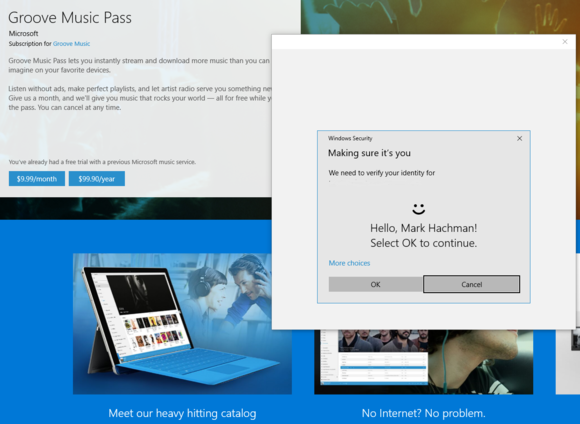 Here’s what Groove Music subscribers see if they pay $9.99/mo for the service. Unlike Spotify, you can’t tap into custom, curated playlists or even play music for free, albeit with ads. Mail’s been updated with the ability to drag and drop calendar appointments. It’s also mercifully much more stable, unlike in the early days of Windows 10. Finally, the Start menu looks just a shade different: What was previously an All Apps button is now just a scrolling list of apps, by default. Although you can tweak it as you’d like, the Start Menu in my test version of the Anniversary Update went very heavy on the suggested apps. The Connect app marries your Windows 10 Mobile device to your Windows 10 desktop wirelessly, providing a Continuum-like experience without the cost of the Display Dock. 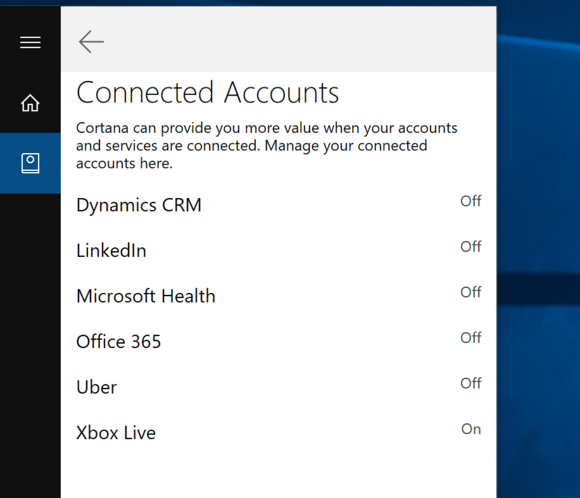 I don’t quite grok the Connect app on Windows 10. Windows 10’s Connect app puts your phone’s content within a window on your PC. 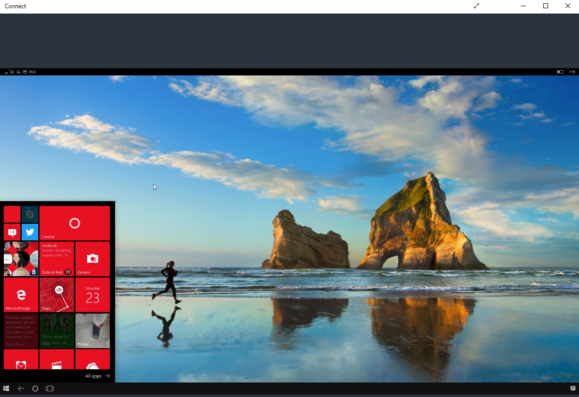 Connect was one of the anticipated features of the Windows 10 Anniversary Update, partially because Connect projects your phone’s display onto your Windows 10 PC screen, just like Continuum. But Connect simply connects your phone, embedding its desktop within a window on your PC. Shouldn't you already have those files on your PC? That’s not adding much to the experience, in my book. 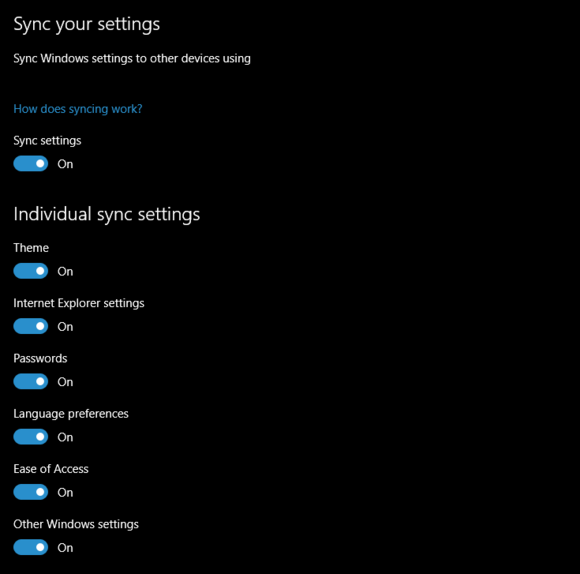 Connecting my phone to my Surface Pro 4 via Bluetooth was simple enough, but the connection lagged fairly severely. I poked through some photos, surfed the Web a bit, then moved on. Is the Windows 10 Anniversary Update worth it? For anyone who already runs Windows 10, the Anniversary Update is coming, like it or not. I hope Microsoft patches many of the random bugs that still remain, a few of which I noted in this review. Once more for old times’ sake. Meanwhile, millions of Windows 7 and Windows 8.1 users are wondering if they should follow Microsoft’s lead. I suspect that little in the Anniversary Update itself will convince them to make the switch. Far more important will be the hit to their pocketbooks should they skip the free upgrade to Windows 10, which expires July 29. As stable and solid as Windows 7 is today, there simply must come a day when Windows 7 will become so outdated as to become nearly unusable. Meanwhile, Windows 10 introduced Cortana, Windows Hello, Task View, Edge, and the Action Center. To that, the Windows 10 AU adds Windows Ink and buffs several existing Windows 10 features—worthwhile, certainly, but not the sort of monumental changes that Windows 10 originally introduced. Has Windows 10 improved? Clearly. Does it still demand further work? Sadly, yes. Microsoft promised us features such as using Windows Hello to log in via the web, and it really ought to provide a full-fledged Ink experience with rich, editable text. Neither are here yet. Speech should be Microsoft’s next priority—yes, you can talk to Cortana, but oral dictation should be a more prominent option than it is. Cortana, biometric Web authentication, data stored seamlessly in the cloud: These are bold strides forward, and ones that can potentially reshape the way we work and play. But they’re unfinished. 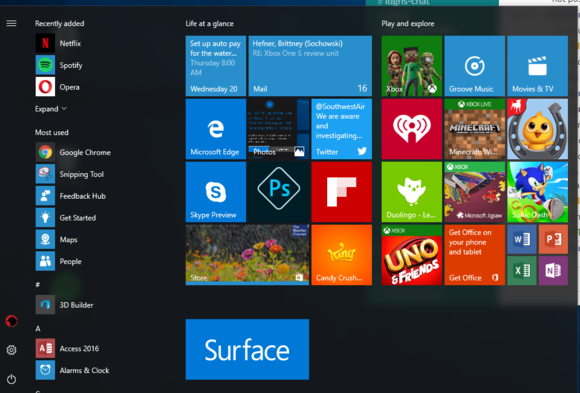 Windows 10 may be the last Windows, but these are still its first steps.